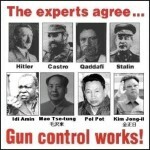 Is More Gun Control Really the Answer? 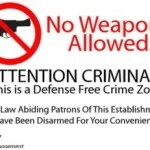 Gun-free zones have been the most popular response to previous mass killings. 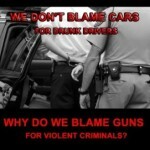 But many law-enforcement officials say they are actually counterproductive. “Guns are already banned in schools. That is why the shootings happen in schools. A school is a ‘helpless-victim zone,’” says Richard Mack, a former Arizona sheriff. 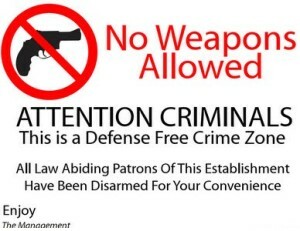 “Preventing any adult at a school from having access to a firearm eliminates any chance the killer can be stopped in time to prevent a rampage,” Jim Kouri, the public-information officer of the National Association of Chiefs of Police, told me earlier this year at the time of the Aurora, Colo., Batman-movie shooting. Indeed, there have been many instances — from the high-school shooting by Luke Woodham in Mississippi, to the New Life Church shooting in Colorado Springs, Colo. — where a killer has been stopped after someone got a gun from a parked car or elsewhere and confronted the shooter. Please click below to share this article with your fellow patriots and help us defend the 2nd Amendment.